Guess which objects are magnetic? That's the fun (and the learning!) behind our Magnetic Discovery Board. 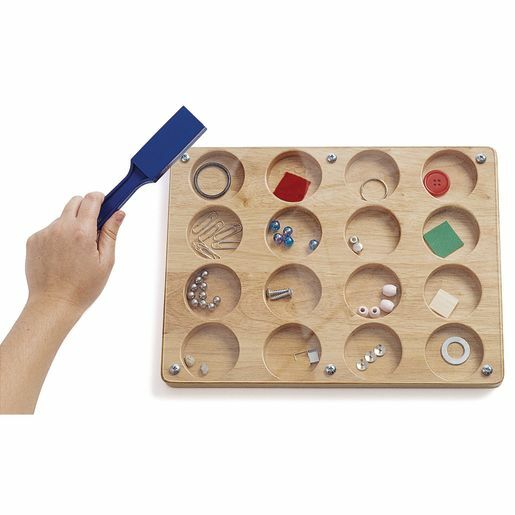 Objects are randomly arranged in the 16 wells of this all-wood board, and children can predict, observe and record their findings.